Looking customize and personalize your Volkswagen? You've come to the right place! We carry a line of aftermarket custom grilles which give you better products at better prices along with better customer service and support. 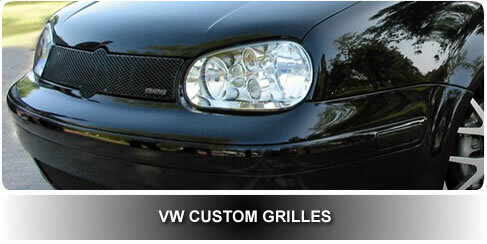 We very carefully choose each of our manufacturers for VW custom grilles based on the quality of their reputation, qulaity of products, appearance, ease of installation, and after sales support. Please select your vehicle type below. We also offer a line of Dash Trim Kits to dress the interior as well!